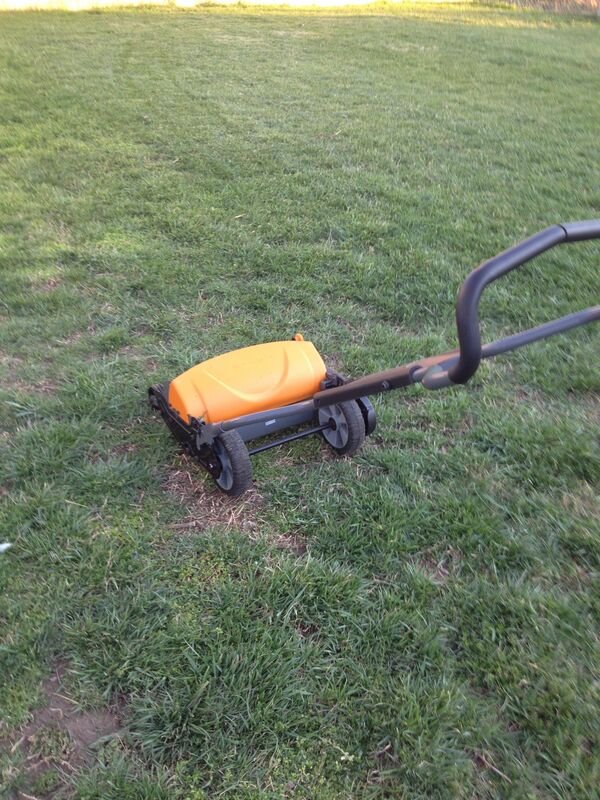 The last time I had so much fun mowing the lawn was, well, never. How much fun have you had lately with your small business marketing? The fact that it’s March 22nd with grass blades reaching young hay height had me doing the happy dance. Outdoor exercise that’s not about shoveling snow is a delightful change of pace. Having left all my lawn care equipment in the Northeast, I had some decisions – and purchases – to make with this glorious Virginia spring forging full-force. Today, the lawn mower priority won out in serendipitous fashion. I was considering a rotary mower. These have three horizontal blades with a human brawn power source. Buying gas cans, oil, mixers and dealing with annual maintenance hassles that come with a gas-powered machine was not appealing. Plus, the sound and smell of these tools is grating. In strolling the isles at Lowe’s®, however, it was hard to justify the $199 price tag (particularly looking at it next to the fancy mowers costs). When I went to the department desk for help (it’s been a long time since I’ve made such a purchase), there was a box on the floor – my preferred mower marked “used” and priced at $50. After chatting with the clerk about the pros and cons of engine vs. muscle powered and learning the discounted item was “leased” (“someone buys it because they have a one-time need then bring it back saying it doesn’t work”), I decided to take it home with me. I was able to assemble it and finishing the lawn in less than an hour. That wondrous sound of the birds chirping over the subtle spinning blade hum was priceless. Watching the cut grass scatter healthy mulch in front of me was fun. The workout was exhilarating. Smelling nothing but nature instead of gas exhaust was breath-giving. Of course, there was a bit of a learning curve. I had to adjust the blades a few times. Instructions say “remove all debris from yard”. There’s a reason for this. Branches, rocks or other items too tough for the blades lock them up. It’s not easy to get them out. A fast pace was best. The blades wouldn’t cut through the already 8-inch high wild onions in the yard (that’s OK – they’re good eating). As I reflected on this situation, I realized this experience as a lot like small business marketing. Sometimes the solution you know in your gut is right, needs reinforcement – or opportunity. In this case, the price was a stopper for me. Now that I’ve tested the product, I’m a believer willing to pay list for an experience that excited me in more ways than I imagined. Do you offer introductory pricing for prospect “test-drives”? Asking for help is wise. 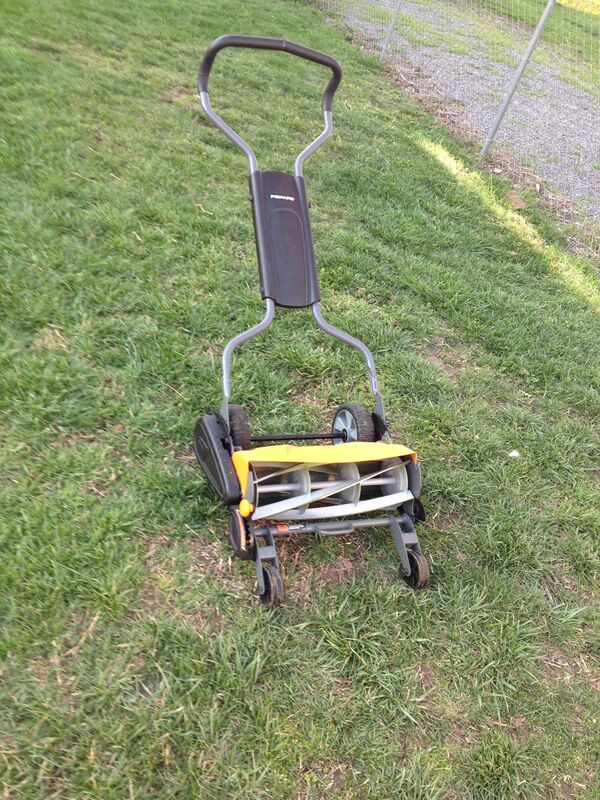 My gut went to this particular machine, but I don’t know lawnmowers. The employee consultant offered some great reasons to go with what I was considering over more popular choices. Do you ask for help to convince your prospects? There are always issues when testing something new. By investigating challenges immediately (instead of forcing forward movement when a jam occurs) and finding a fix, you can smile at your skills to quickly solve a challenge. Do you make it easy for people to get answers when they think something isn’t working? Being able to do the assembly then finish a job in reasonable time is gratifying. I feel dumb when I can’t figure something out. The instructions (in words with illustrations – please don’t give me a graphics-only assembly guide) were easy to understand and detailed enough to ensure I didn’t do anything wrong. Do you help clients implement what you offer in a way that makes them feel smart? Trial and error is a part of any small business marketing success story. You learn as you go then improve with adjustments. After my first stick crippled the mower, I pulled out a rake for a wiser foundation. Do you beat yourself up when you make mistakes or happily adapt with a better approach? Smart preparation can make all the difference. Dislodging the wedged wood took time. Sometimes, even when you know better, you skip steps thinking it will be quicker. It usually isn’t. Do you map out a plan before you launch? This experience fed my senses, mind, body and soul. It was wonderful to be able to take the DIY route and credit for the results. Plus, everything about the implementation experience was more pleasing than imagined. 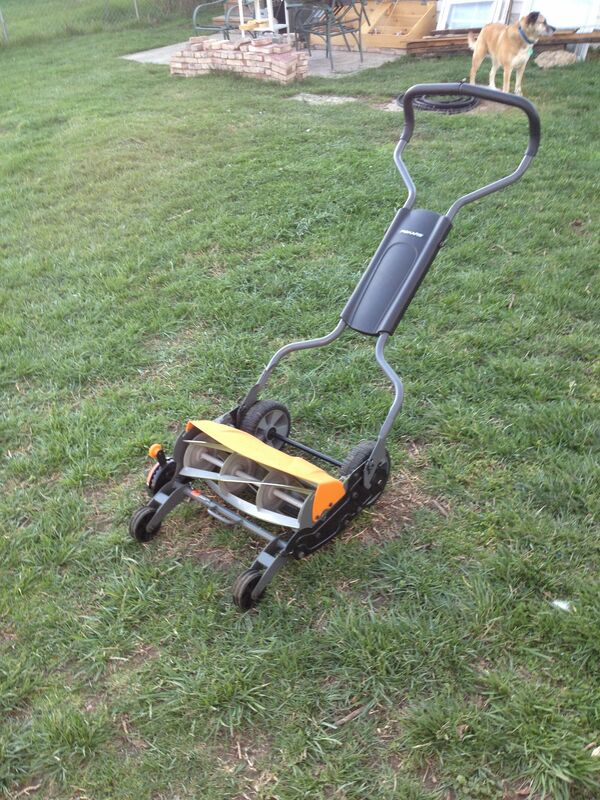 Mowing the lawn will never be a chore again. Quite the opposite – the added benefit of experiencing many wanted things simultaneously – good exercise, a connection with nature, fun sights and sounds, a more ecological approach to one small aspect of my life . . . – makes it an experience to relish. How do you help your clients get excited about change? Small business marketing is best done with a smile from all involved. Think about how you can make someone happier today with easier ways to implement, appreciate and expand on what you offer. 387 Comments - Leave a comment! great analogy! I love the way you took your experiences and applied it to marketing in a simple straightforward fashion. The steps are all simple and are things to think about. Simple isn’t always so easy, is it Vickie? Thanks for stopping in to read and comment. A great post- I loved the tip about asking for help. Sometimes we just wallow in our decisions without asking for help either from friends or someone with more experience. Thanks for all of the tips! Yes, asking for help is not one of my strengths – but I’m getting better, Sue. It’s so much easier to make good decisions when you look to people have more knowledge than you on a subject for input, isn’t it? I appreciate your taking the time to read and reply. Nancy, the gut can be a great thing, can’t it? Still, not knowing anything about the product, it was wise to consult someone who did for a final decision. I get your challenging in asking for help. Glad you’re logging some progress there :-). Love this analogy. Also a fabulous reminder to keep it simple and clear. I really enjoyed this post. Thank you. Leased. I love it. I wish I could buy leased stuff all the time! What a bargain! Eric mows the lawn around here and I’m not messing with that success. heehee.